High-strength two-part epoxy for laminating, filleting, and gluing. Its thin, lower viscosity formula is ideal for use as a general purpose adhesive or a sealant. Included mixing tips ensure perfect resin to hardener ratio. 185 ML cartridge fits all standard caulk guns. 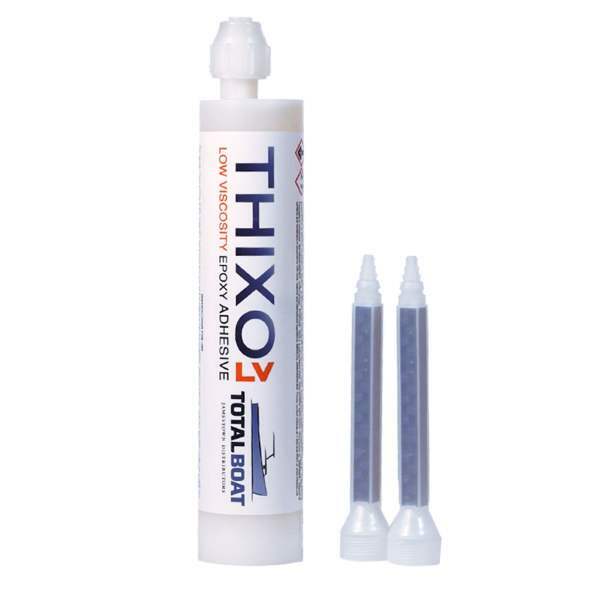 Thixo LV might have the widest range of applications of any epoxy adhesive. It’s thin, low viscosity formula makes it easy to dispense, and you’ll find uses for it far beyond the boat. LV is great for masonry – use it on brick, concrete, and cement. Fill cracks, holes, and seams. It comes in a 185 ml cartridge that fits all standard caulking guns. 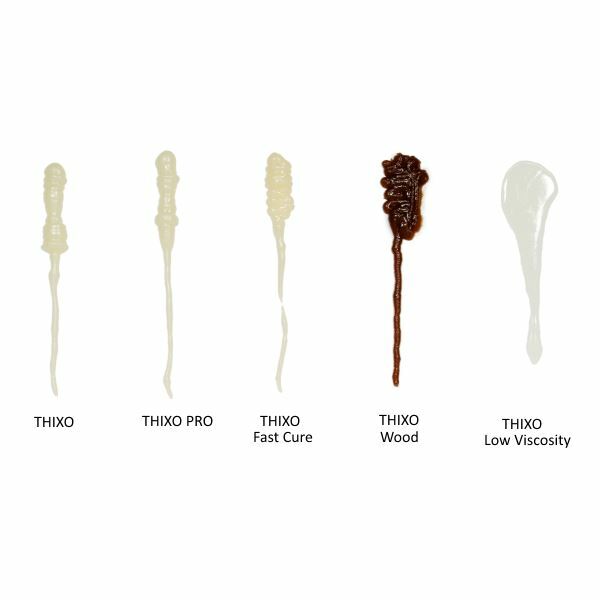 Simply attach a mixing tip, trim tip to desired bead size, and squeeze the handle for no-mess bonds or repairs almost anywhere. While Thixo LV can be used in cooler weather, it mixes better warm. To warm, place near heat source and warm slowly and consistently.